How much is Keith Brooking Worth? 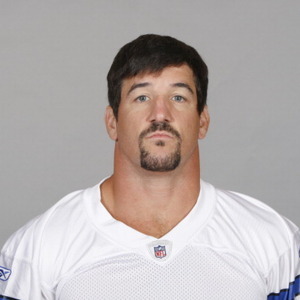 Keith Brooking Net Worth: Keith Brooking is an American football player who has a net worth of 500 Thousand. Born Keith Howard Brooking on October 30, 1975, in Senoia, Georgia, he is currently a free agent. During college, he had the chance to put his football on display playing at Georgia Tech. Having finished his tenure there with 15 tackles and one, he is remembered as one of the greatest players to ever play at Georgia. Soon, he was selected by the Atlanta Falcons in the first round of the 1998 NFL Draft. He had played for the Falcons until 2009 and he was a five-time Pro Bowl selection and two-time All-Pro in that period. Subsequently, he had two short tenures with the Dallas Cowboys (2009-2010) and the Denver Broncos (2012). Keith Brooking's contributions to the sport while in college were not forgotten as he was named to the Georgia Tech Athletic Hall of Fame in 2007. Off the field he is a married man with three children. The Brooking family currently resides in Atlanta.